Bigger isn’t always better. Many real estate investors think it’s about the volume, whether sales dollars or units. Overhead is the downfall of many a real estate investor. Our friend, Gordon Moss, says to ‘stay small and keep it all’! Check out this great FlipNerd.com Flip Tip! 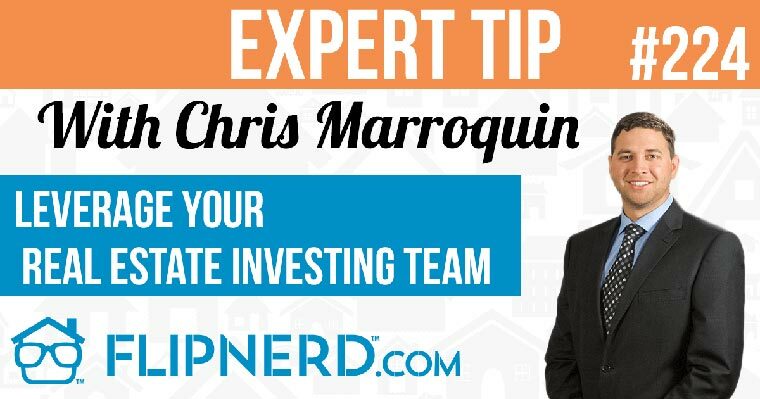 Mike: Hey, it’s Mike Hambright from flipnerd.com, and we have a quick VIP tip to share with you from Gordon Moss, who’s going to share a tip on how to build a small real estate investing business. Gordon: Thank you, Mike. Thank you very much. Mike, I thought I was a big shot when I got started, and I wanted to be a big shot. I wanted a 10-story building on the freeway with my name on it. But I soon realized that I have a new theme and it’s called this: stay small, keep it all. Stay small, keep it all. I’ve had 100 employees, I’ve been a boss, I’ve been an employee, I never liked it. And now I say that if I had to reinvent myself, which I’ve done, I’m going to stay small. So now, I don’t have a staff. I don’t have a secretary. I don’t have anybody. And my business is designed that way. I had a good friend who said a couple things to me. He said, “Make your gross your net.” Make your gross your net. So let’s say I had a $10,000 check come in and I had to bring it back to the office. If I’ve got to pay my staff, and pay for the office building, and pay the electric bill, and I end up with a fraction of that, I said, “No.” I said, “I’m keeping it all.” Stay small, keep it all. So, those are some great tips that I follow now, and I designed my business that way. I also moved from being a commercial guy, big wield, to a single-family house guy. Because, as another friend put to me, he said, “People don’t get tired of living inside.” People don’t get tired of living inside. We had our big crash back there in ’08 and ’09. The fact that I own single-family houses, as opposed to land or commercial buildings, saved me. So, I like that theme of having the best collateral on the earth, even though I thought I was way above the single-family house game, so I keep it simple, I keep it small, I keep it all. That’s the best way I can put it to you. Mike: Awesome. Thanks for joining us for another flipnerd.com flip tip. To access hundreds of tips and full expert interviews, please visit flipnerd.com or join us in the iTunes store.